Patricia Lutz is an E-RYT 200 Yoga Alliance Certified teacher through Blue Sun Yoga. She carries the love and wisdom of Wendy Dahl with her in all of her teachings. Patricia is also a certified Trauma-Informed Yoga Teacher & Leader through Yoga To Transform Trauma, and is deeply grateful for the kindness and leadership of Catherine Ashton. Patricia has earned her Reiki Level 1 Energy Attunement, granting her the tools to send Reiki Energy to those who wish to receive it. She sends gratitude and love to her teacher and Reiki Master, Jennifer Lauren Burkhart for offering this wonderful gift. My experience working with survivors of sexual violence and trauma has been incredibly powerful. I run a monthly workshop called Circle of Hope: Yoga to Transform Trauma, which invites all who have been affected by trauma to attend. These workshops marry a peer support group with a trauma-informed yoga class. Within these workshops I have worked extensively with survivors of sexual violence. I look forward to continuing to serve this community. Additionally, all the studio classes that I teach incorporate trauma-informed yoga principles. 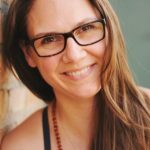 Currently I teach classes in Mindful Flow (Level 1), Restorative Yoga, Basics, and Prenatal Yoga in addition to my Yoga to Transform Trauma workshops. I also have a home yoga space (lovingly nicknamed “The Zen Den”) where I see private clients and am available to work with survivors of sexual violence through the modalities of yoga and reiki. I am interested in working with survivors because I am one. I am a survivor of sexual assault, so I know first hand the challenges this can present in our day-to-day lives, as well as our existence as a whole. The practice of yoga allowed me to connect with my body in a way that felt safe again, and allowed my body and mind to move towards freedom from shame and fear. While we practice yoga, we are given a gift of connecting with our breath and drawing to the present moment. In that present moment, we are available to experience all that we are in a way that is safe and empowering. Yoga has been integral in my journey toward healing from sexual assault. It is a powerful tool that I feel deeply grateful to have the opportunity to share with others. I offer Yoga as my primary modality for serving survivors. The word Yoga is derived from Sanskrit, literally translating as “to join” or “to yoke”. Yoga is an ancient art based on a harmonizing system of development for the body, mind, and spirit. The continued practice of yoga leads to a sense of peace and well-being. By cultivating a deep connection with the breath, one can make a meaningful connection to self and the greater community. My simplest definition: Yoga is the process of connecting to the breath over, and over, and over and over again, while making glorious shapes with the body. Trauma-informed care means to create a space free of judgment, expectation, and pressure to be anything, or feel anything, other than what arises. Trauma-informed care means being available and sensitive to the needs of the client in a way that doesn’t intrude on their physical, emotional, or spiritual space. Within the practice of trauma-informed yoga, you have freedom and power make choices that serve your body, mind and spirit. For instance, in yoga practice there will be no touching or physical adjustments because touch can be triggering and distracting. Special care is taken when designing yoga sessions, choosing sequences and yoga postures that will be feel safe and available for survivors. If at any time, clients want to take a break, walk around, rest, or express themselves, this is highly encouraged. The practitioner is “invited” to move through the practice in specific ways, however, they are always given the power to make the choices that feel best. I have a plethora of props that can be used to encourage safety and accessibility for survivors. Bolsters, blocks, blankets, and chairs can all be used to modify the practice in ways that benefit the way it feels in the body, mind and heart. I believe that we should use yoga poses to get into the body, instead of focusing on getting the body into “poses” (credit to Jason Crandell). Props can help with creating access to yoga postures for all bodies. I also believe that savasana, our final resting posture, comes in many shapes and forms. Options will be offered, including legs up the wall, bolsters under knees, rolling to the side, seated meditation, and other options. Savasana can be a vulnerable space for survivors; special care is taken to ensure physical and emotional safety. Boundaries are created that facilitate safety within the practice. For instance, there won’t be a lot of moving around the room or walking behind practitioners. Lights will stay on and the environment will remain steady and comfortable. My goal is comfort, safety, freedom, and accessibility of the practice for all.